I was asked by Carusele to participate in the #HallmarkAtWalgreens campaign, sponsored by Hallmark at Walgreens. Although I have been compensated, all opinions are my own. 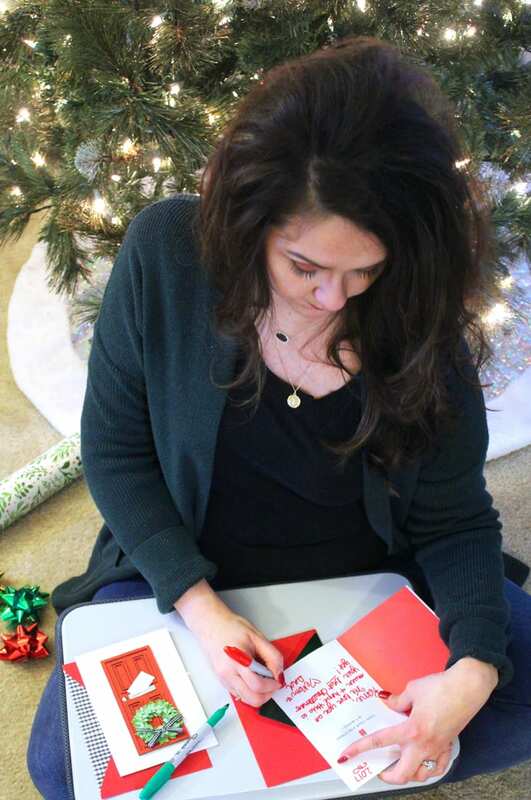 Christmas is my favorite time of year, but as a busy mom who is always on the go, I find life to be especially hectic around the holidays. This has never been more true than this year, as I’m pregnant with my second child. 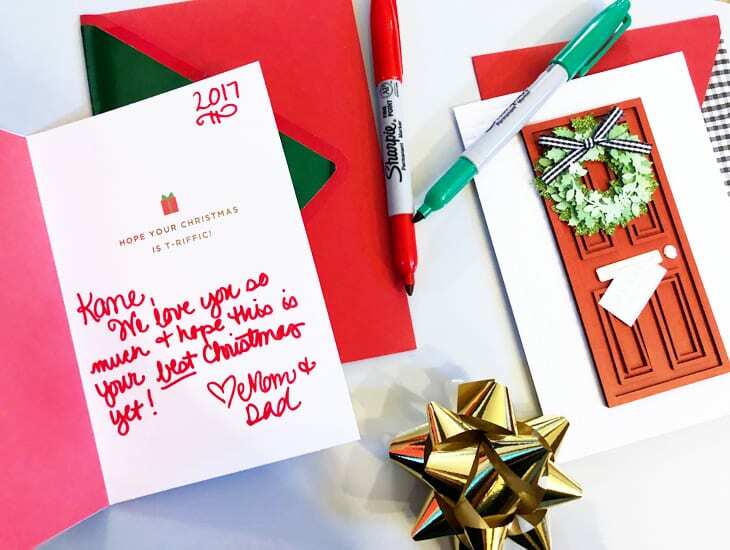 So I’m always on the lookout for easy ways to still make special holiday memories for my family–enter Hallmark at Walgreens! One way I like to make the holidays special is by giving special cards to my loved ones. I stopped by Walgreens the other evening and instantly found two perfect cards from the Hallmark Signature line. As soon as I saw the T-Rex Christmas card, I knew I had to pick it up for Kane, who loves dinosaurs! And the boxwood wreath card is beautiful. Hallmark cards are my go-to choice for greeting cards because the quality is always exceptional and the sentiments are spot-on. While I was at Walgreens, I also had to check out the wrapping paper and supplies since I was in the Christmas mood. 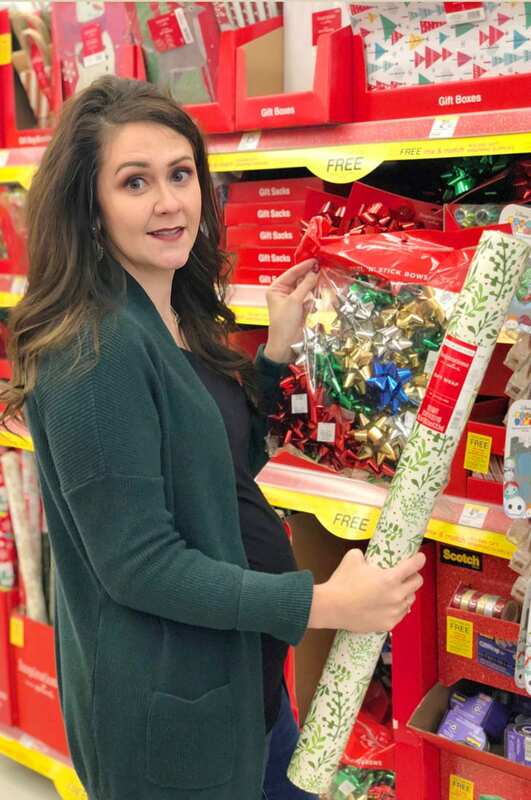 Now through December 2, Walgreens has a deal on Hallmark and Inspirations from Hallmark Gift Wrap and tape where when you buy two, you get one free (from 12/3 to 12/15, the deal is buy one, get one 50% off). Of course I had to take advantage of this great deal, so I picked up a roll of wrapping paper, some gift bows, and a 3-pack of tape. Chauncey and I can’t wait to see the look on Kane’s face when he opens his T-Rex Christmas card! We always like to add a personalized message to the inside of the card. For a festive touch, I like to write inside my cards with either a red or green Sharpie. It really helps your message to pop! I know that Kane will rip open his gifts with little thought to the wrapping paper, but I think a festively-wrapped gift adds to the excitement of gifts under the tree. Some of my favorite memories from Christmas when I was little are of the wrapped gifts piled underneath the tree, and getting to open those at the edge of dark on Christmas Eve. I hope to recreate that sense of excitement and magic with Kane, so I always use pretty wrapping paper and pop a bow onto his gifts. Another favorite tradition of mine is adding a new ornament to the tree every year. 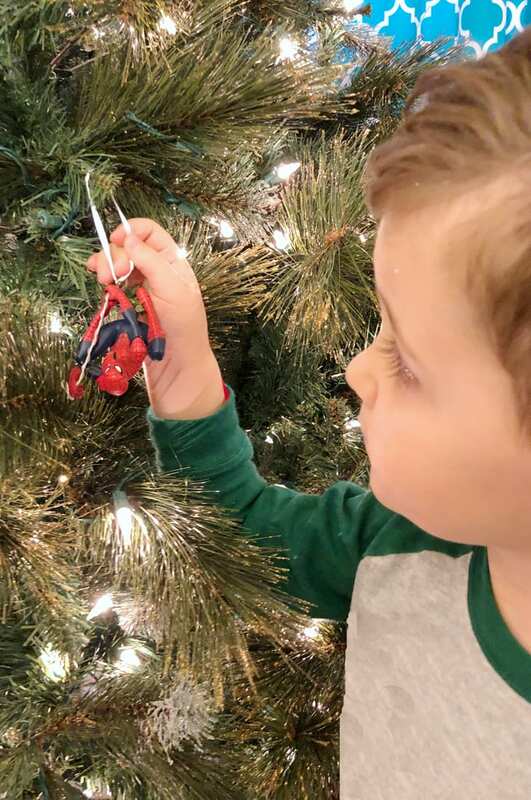 This year, I let Kane pick out this Hallmark Spiderman ornament while we were at Walgreens. Kane is big into superheroes this year, and Spiderman is his favorite. 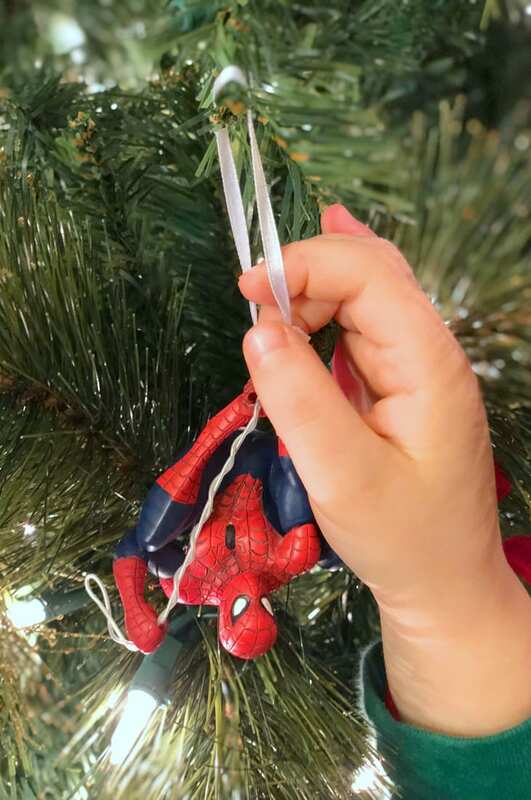 As soon as he spotted the Spiderman ornament, he had to have it. When we got home, he placed it on the tree. I hope that one day, when Kane has children of his own, he will place this same ornament on his Christmas tree and think back to placing it on ours. These also make the perfects gifts if you want to include one when you send a Hallmark holiday card. 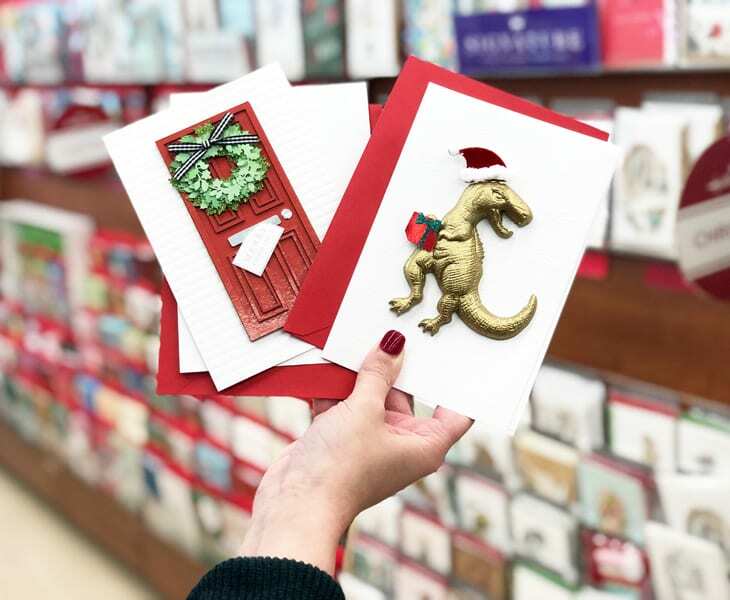 Hallmark at Walgreens makes holiday gifting and memory-making easy. Be sure to stop by your local Walgreens and browse their Hallmark selection! 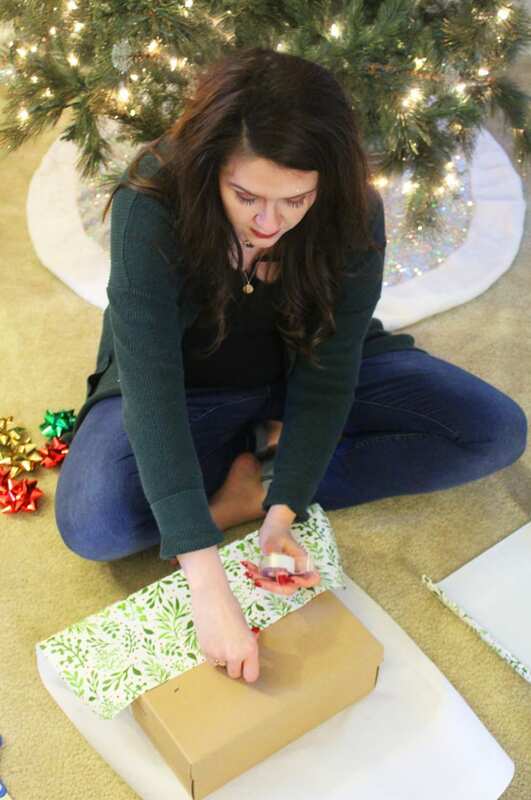 It’s the perfect solution to helping busy moms still make meaningful Christmas traditions. Just because the mom life gets hectic doesn’t mean that you have to forgo those special moments. You can also pickup Hallmark Holiday Boxed Cards while you’re at Walgreens. From 11/27 through 12/16, all Hallmark and Image Arts Boxed cards at buy one, get one 50% off. 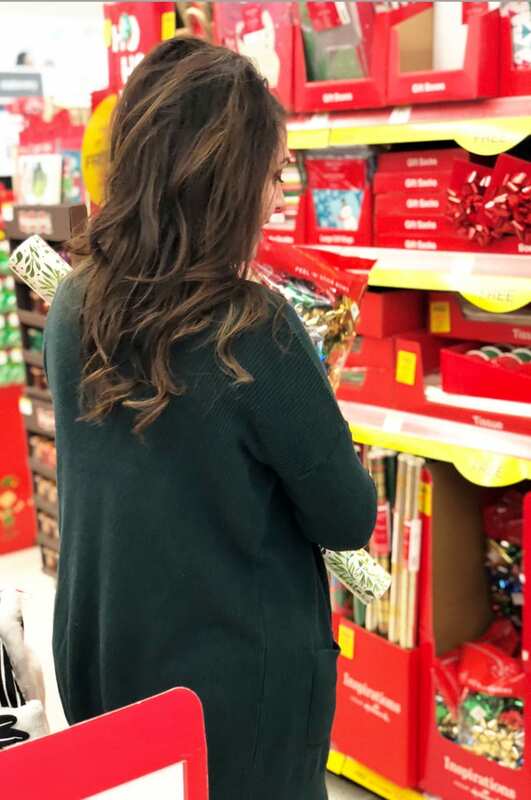 Connect with Walgreens on Facebook, Instagram, Twitter, and Pinterest for more ideas about how to make your holiday wonderful! 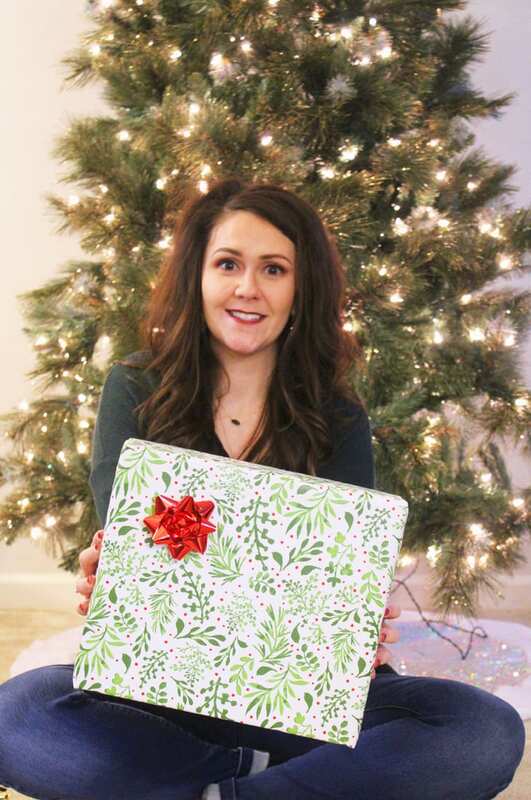 Love your wrapping paper — so festive and classic! I was just at Walgreens but totally skipped the Christmas isle. I need to go back and get those adorable cards!! I always love finding little fun things at Walgreens for the holidays! I love Walgreens! They always have the best Christmas items! Those cards are so beautiful! I’ll need to make a trip to Hallmark before Christmas!